Music festival season is officially upon us! There are close to 50 music festivals happening throughout the summer and early fall which can make it challenging to decide which festival to attend. Our team at Hopper recently attended Boston Calling and we definitely recommend attending the festival. Unlike many other festivals, there are no overlapping sets so you'll never have to make tough decisions about which artist to see. And, the festival is coming back this fall with another great lineup so it's time to start planning your trip! This spring's lineup boasted a lot of amazing acts like TV on the Radio, Ben Harper, Tenacious D, Tame Impala, and many others. However, a few acts really stood out this year. If you were at Boston Calling on Saturday then you probably noticed the sea of people repping Run The Jewels t-shirts. 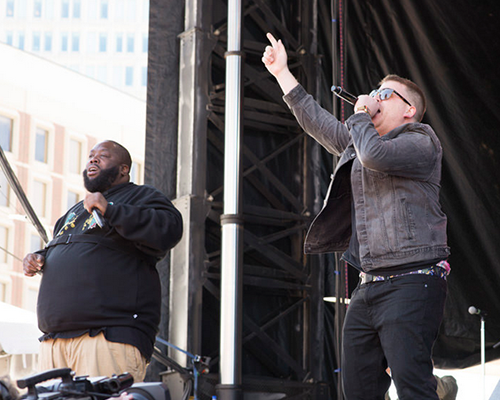 Their fans were definitely out in full force and for good reason - Killer Mike and El-P put on quite the show. The duo arrived on stage blasting "We are the Champions" and Killer Mike immediately won the hearts of Boston fans by declaring his support for Tom Brady. Run The Jewels delivered a boisterous set that had fans throwing their hands up for hits like "Blockbuster Night, Part 1," "Close Your Eyes (And Count to ****)," and "Lie, Cheat, Steal." 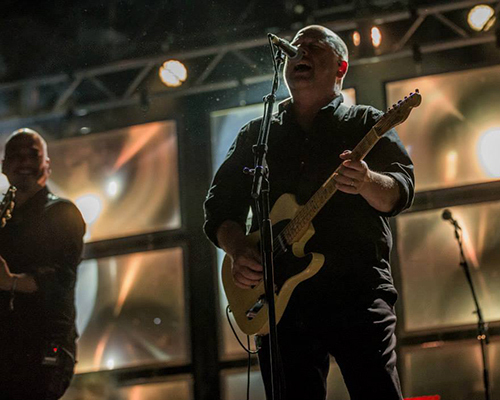 The Pixies closed out the festival and it felt like a triumphant homecoming for the band. The crowd was buzzing when the band opened up the show with "Bone Machine." Not only did the band jam to fan-favorites like "Where Is My Mind? ", "Here Comes Your Man," and "Debaser," but they powered through a career-spanning set of over thirty songs. It's hard to imagine that this band could have band gotten better with age, but there was no doubt in anyone's mind after witnessing their unbelievable performance. St. Vincent, who recently won the Grammy Award for "Alternative Album of the Year," was utterly captivating. She kicked off the performance with "Birth In Reverse" which was accompanied by perfectly choreographed robotic movements. She absolutely shredded the guitar solos on songs like "Bring Me Your Loves" and "Huey Newton." She closed out the set with an epic rendition of "Your Lips Are Red" which culminated with St. Vincent unabashedly diving into the crowd and gracefully floating among her fans. My Morning Jacket's set was pure magic. These guys truly excel on stage and they treated us to a lot of their new material. Their latest album, "The Waterfall," is one of their strongest yet and hearing the songs live elevated tracks like "Compound Fracture," "In Its Infancy (The Waterfall)" and "Big Decisions" to a whole new level. The stage lights danced along to Jim James' melodic voice during songs like "War Begun," "Golden," and "Wordless Chorus." 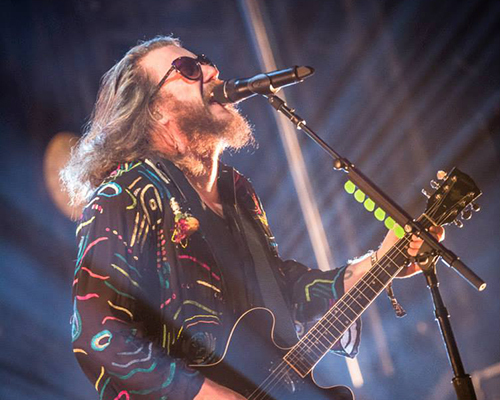 My Morning Jacket proved they are an extraordinary live band so put them on your must-see list this summer. We weren't sure what to expect from Beck's set. We figured he'd base most of the setlist around his latest album, Morning Phase, which won the Grammy Award for "Album of the Year." It's a phenomenal album, but it's a little more mellow than some of his previous albums. We were in for a surprise though. 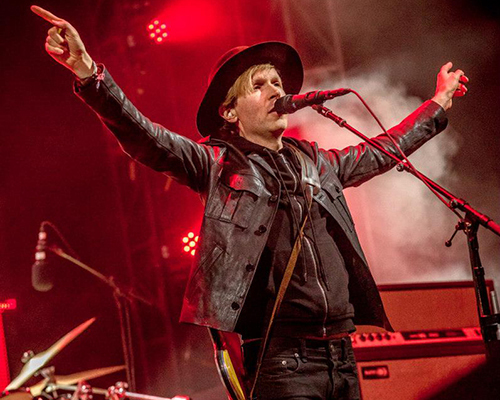 Beck showcased all his eclectic sounds from over the course of his career. This guy truly does it all - folk, funk, rap, soul. He played major hits like "Devil's Haircut," "The New Pollution," "Loser," and "Sexx Laws" with reinvigorated energy. Even when he slowed it down for acoustic songs like "Lost Cause" and "Blue Moon," he kept the audience engaged. He closed out the show with an unforgettable version of "Where It's At" that had the entire crowd bouncing. Unfortunately, Beck is touring overseas for the summer, but definitely try to catch Beck if you have the opportunity to see him! He doesn't disappoint! Didn't get the chance to attend Boston Calling? At Hopper, we want to help you catch these great acts (and your other favorites) this festival season. We created this festival planning map to help you determine the cheapest way to check out all of your must-see bands. 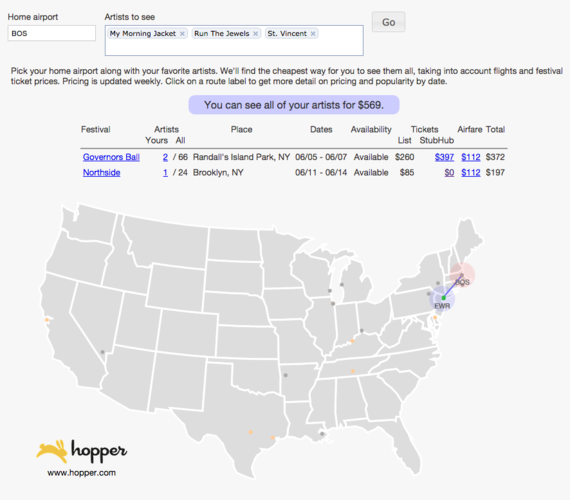 Plug in your home airport and favorite acts and the map will tell you which festival to attend based on the cost of airfare and ticket prices. It's also worth noting that Boston Calling will be returning this fall with another fantastic lineup which includes bands like Alabama Shakes, alt-J, and the Avett Brothers. Definitely keep it on your radar this music festival season!